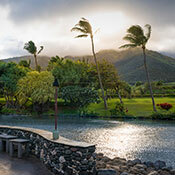 Here are your best bets for photo opportunities with stunning views in Maui, Hawaii. Meaning "House of the Sun", Haleakala is Maui's 10,000 foot volcano, the largest dormant volcano in the world (although technically not dormant, it hasn't erupted in over 200 years). To put it in perspective, the entire area of Manhattan could fit in the crater of Haleakala alone. A drive to the summit takes travelers through various climates of Upcountry Maui, along winding lanes of lush green pastures, misty forests, and eventually, as you climb towards the summit of Haleakala, otherworldly-looking plant life mixed with reddish brown rock. 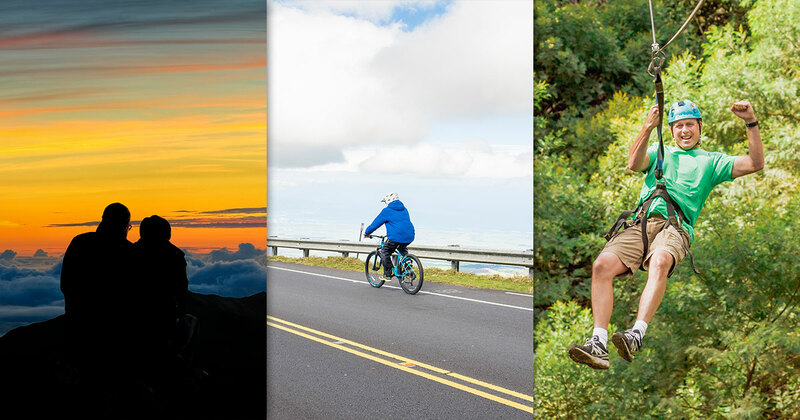 While viewing the sunrise or sunset from the summit is a stunning view in and of itself, guests can choose to experience Haleakala in many ways - biking, hiking in the crater, stargazing, etc., all of which offer their own perks. 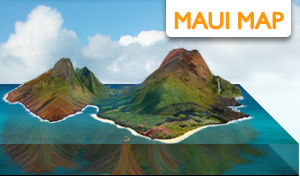 A small, family-friendly guided tour of the changing landscapes and highlights of Haleakala National Park, as well as a trip to the Visitor’s Center and breathtaking summit, saves you from making the early morning drive in the dark, with the added bonus of taking in the view through oversized windows in a custom built shuttle. 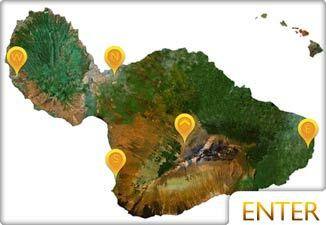 Sunrise tours include a full breakfast, beverages and round trip transportation, ideal for those who would rather experience the beauty of Haleakala Volcano than navigate it. 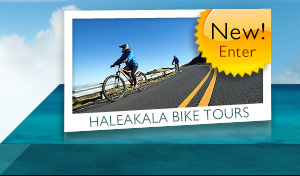 One way to really get some perspective, however, is to take a Haleakala bike and zipline tour, which includes sunrise at Haleakala, then bike down to go ziplining. 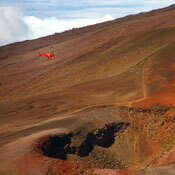 With this tour, you get to have adventure, as well as enjoy views from the summit and along the slopes of Haleakala. You either love it or you hate it, and if you live here, you probably don't understand how anyone could ever hate it. 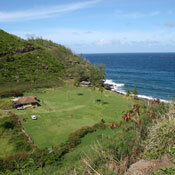 The Road to Hana is 52 miles of over 600 curves and more beauty than you can appreciate in a lifetime. We could write a whole top 10 list on just this road itself, but some of the highlights include cascading waterfalls, bamboo forests, tropical gardens, underground lava tubes, towering cliffs, freshwater caves, black sand beaches, red sand beaches, natural pools, ancient temples, historic landmarks, and postcard-worthy beaches. If it's incredible views you're after, spend some time exploring the many, many sights along the Road to Hana. 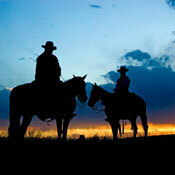 If you do it right, we guarantee it's an experience you'll never forget. Although powerful shorebreak makes this one of the most dangerous swimming beaches on Maui, it doesn't seem to stop most people from claiming it as their favorite, year after year. Soft white sand, bright turquoise waves, dramatic scenery and the sheer size of Big Beach (hence the name) makes this one of the most beautiful places on Maui. 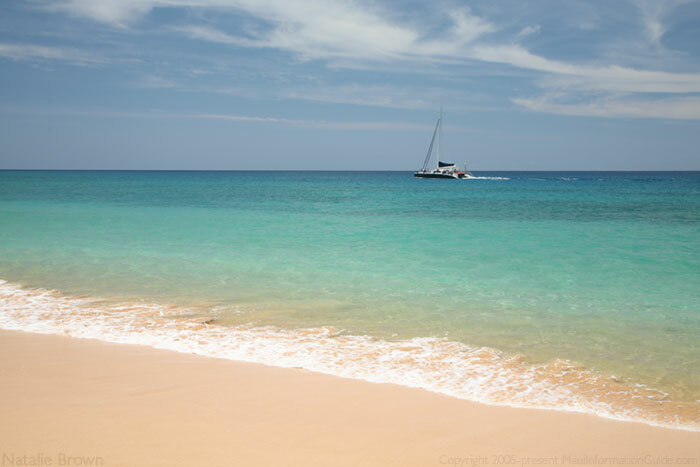 Climb to the top of the hill on the far right hand side of the beach, beyond which you'll find the equally charming Little Beach, to get a stunning panoramic view of tropical island bliss. 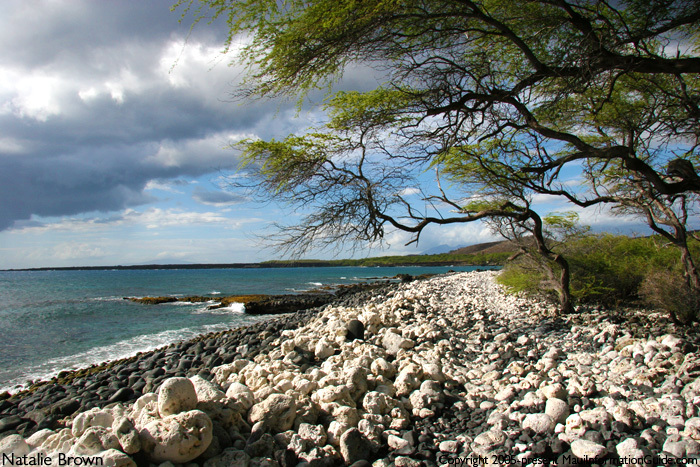 Located on the far south end of the island, La Perouse Bay is the site of the last lava flow on Maui, dating back to 1790. 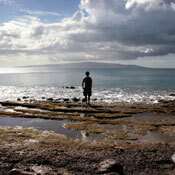 As part of the 'Ahihi Kina'u Natural Area Reserve, the north area, Moanakala, more commonly called "Dumps", remains an excellent choice for snorkeling when conditions are favorable. 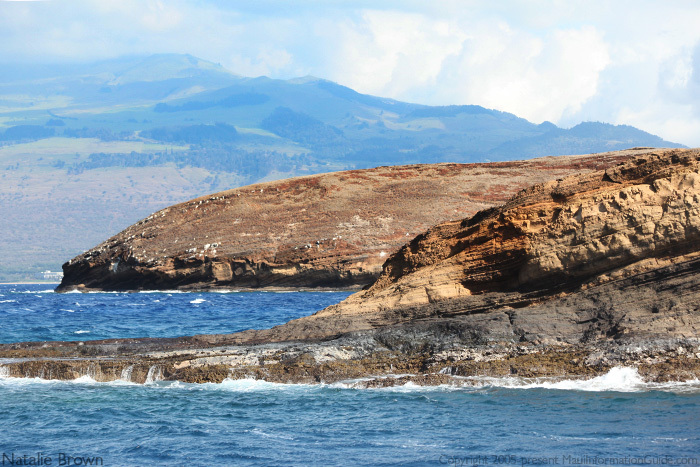 Named after the first European to set foot on Maui - Jean-François de La Pérouse in 1786 - La Perouse is an excellent place to catch an early-morning view of resting Hawaiian Spinner Dolphins, and in later hours, a scenic Maui sunset. It's also the take-off point for avid hikers who wish to challenge themselves along King's Highway, a barren, challenging trail with stellar views. Whatever reason you choose to visit, the stark black lava rock paired with the continually green areas of Upcountry Maui and rolling clouds over Haleakala is something you have to see to appreciate. And you'll be glad you did. The Mill House—an award-winning restaurant and bar at the Maui Tropical Plantation—offers far more than fantastic, farm-fresh fare and one-of-a-kind craft cocktails: Situated beside a pond framed by flowers and teeming with ducks, the open-air venue peers out upon a peaceful lagoon and breathtaking views of the majestic West Maui Mountains, where serrated, green cliffs give way to acres of farmland. 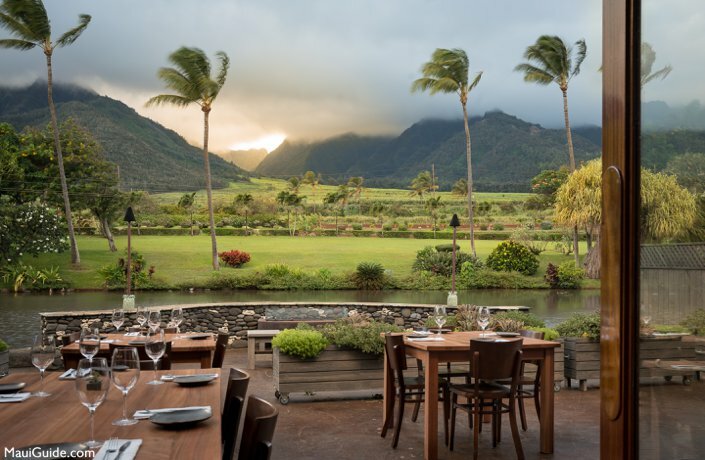 Sit on The Mill House’s patio and indulge in a meal—or savor a glass of one of their carefully- curated wines—and imagine the land as it was in centuries past, when Waikapū thrummed with activity and its land possessed the largest contiguous taro field in Hawaii. One of the most historically significant places on Maui, Iao Valley is also one of the most visually rewarding. Once a royal burial ground and the site of the Battle of Kepaniwai, when King Kamehameha famously landed on the shores of Maui to defeat Maui's army in an effort to unite the Hawaiian Islands, Iao Valley is now a 4,000 acre State Park and favorite day trip among residents and visitors. 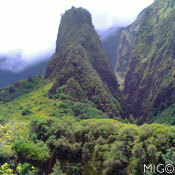 Located conveniently in Central Maui, Iao Valley is, in a word, impressive. With towering mountains and a chilly, beautiful freshwater stream, not to mention amazing flora and fauna, this is one of the best places to spend an afternoon exploring hiking trails or enjoy a scenic picnic in nature. 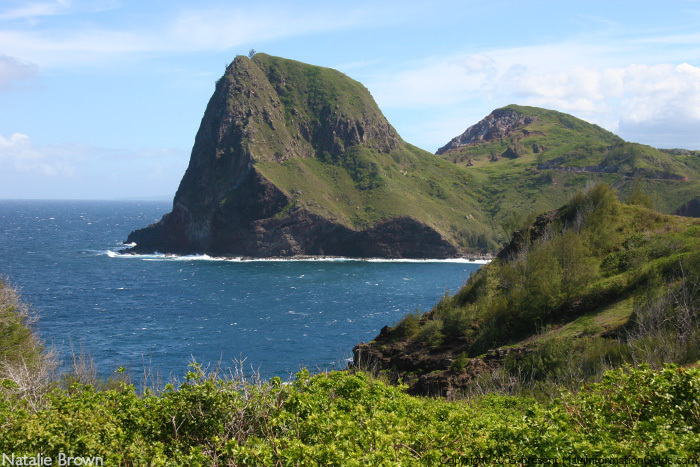 Visitors can enjoy a guided tour of Iao Valley State Park, as well as nearby attractions like the picturesque Kepaniwai Gardens and historic towns, to make the most of their time at this gorgeous natural attraction. With complimentary transportation and entrance fees, as well as a light breakfast and Upcountry picnic, a guided tour of Iao Valley also includes fascinating commentary about the cultural significance and historical importance of the area from a knowledgeable local guide. Climb the steps to marvel at the 1,200 foot Iao Needle, and hike along the stream to find the perfect place to enjoy a refreshing dip in Iao Stream! Known locally as Maui Komohana and Mauna Kahalawai to geologists, the West Maui Mountains are, without a doubt, one of the most stunning views on Maui. While you can catch a partial glimpse of them from within Iao Valley or the winding drive from West Maui to Wailuku, most of the mountain's best views are inaccessible by foot. 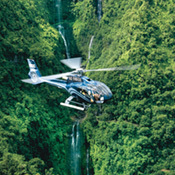 A helicopter tour of the West Maui Mountains is the best way to see the "Wall of Tears", a hidden wall comprised of as many as 17 cascading waterfalls, located near the summit of Pu'u Kukui deep within the mountains. 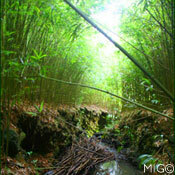 While Haleakala's scenery is stark and bare, views of the West Maui Mountains are rich in plant life and rushing water. This is also a great opportunity to see a rainbow from the air! 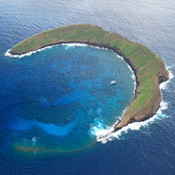 A volcanic atoll located approximately 2.5 miles off of Maui's south shore, Molokini Crater is one of the most popular snorkeling and scuba diving destinations in the state of Hawaii. Visibility, which can exceed 180 feet on good days, in addition to an array of unique underwater life, makes this one of the best places to appreciate Maui's underwater life. Hop on one of the many Molokini boat tours for a morning of snorkeling in the calm, crystal clear waters, or join an advanced scuba diving tour to explore the dramatic back wall, which drops off more than 300 feet. 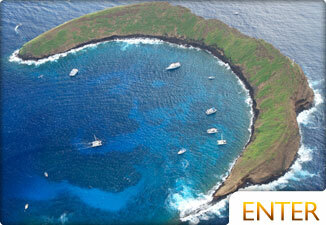 Call 1-877-867-7433 to inquire about snorkeling and snuba diving at Molokini. 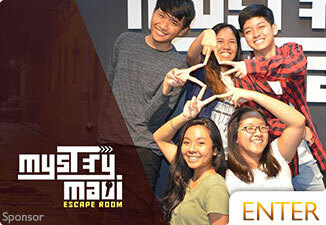 This is also a great place to view Maui's stunning shoreline, in addition to neighbor islands of Kaho'olawe and Lana'i, and on exceptionally clear days, even the Big Island! While most people only pass through this area en route to the summit of Haleakala, we encourage you to spend some time exploring the areas of Upcountry Maui to enjoy some of the best panoramic views on the island. Visit Maui's best Upcountry gems, including the Ali'i Kula Lavender Farm and Kula Botanical Garden, for the best views, and during fall months, the pumpkin patch at Kula Country Farms is a great family-friendly activity with gorgeous views of the West Maui Mountains and ocean. 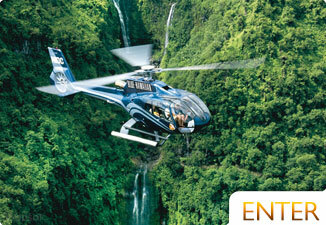 Blue Hawaiian Helicopters offers the "Maui Spectacular" helicopter tour of the entire island On this unique experience of Upcountry Maui, you will land for a champagne toast with a view! While most visitors have heard about Maui's Road to Hana (and rightfully so), the West Maui loop goes mostly unnoticed past Honolua Bay. Located on Maui's northwest shore, the cozy local town of Kahakuloa is home to some of the best, and most underrated, views on Maui. Past Nakalele Blowhole and Olivine Pools, Kahakuloa Village is the perfect place to stop and enjoy some truly delicious island treats with a side of aloha. Take the winding, bumpy, and sometimes narrow Kahekili Highway until you see Mile Marker 15, where you can stop and enjoy a lovely view of the village below. Visit Lorraine's Shave Ice to talk story over homemade pie in her beautiful backyard garden, and take a drive up the hill to browse local art at the stunning Kaukini Gallery before driving the loop to end in Central Maui. There are 81 beaches on Maui, and while this particular beach may not be at the top of the list in most guidebooks, we're alright with that. 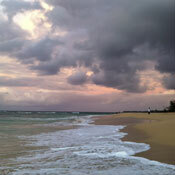 Our final pick for one of Maui's most stunning views goes to a true north shore gem and local favorite, Baldwin Beach. Located just down the street from the hippy-surfer town of Paia, Baldwin is a white sand beach dotted with driftwood and fronted by glorious turquoise waves, not to mention a view of the West Maui Mountains in the distance. 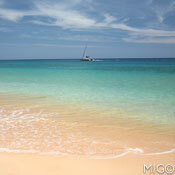 If beach-lounging, swimming and people-watching are on your Maui to-do list, Baldwin has it all. 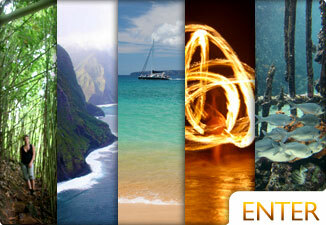 These are some of the more interesting and active Maui bloggers.